Nowadays’ trending way of delivering movies to the audience is, using 3D technology. Actually, what is 3D technology? 3D is the abbreviation of the meaning ‘Three-Dimensional’. It is an image that provides the perception of depth into your brain as well as the height and breadth, which hands-over a special experience called as ‘Virtual Reality’. Everything around us in the real world, we see with our eyes are in 3D. But when it comes to the movie technology, we are able only to experience 2D there on the screen. That means we are not able to get an idea about the depth of the objects on the screen. But with the improvement of the technology, now the technicians have found a way of delivering movies with the ability to find a depth of the objects on the screen and that technology is called as, ‘3D Technology’. That’s what actually meant by 3-dimensional technology. Now let’s move on to see how this 3D technology works and the concept or the theory behind this 3D technology. So keep on reading. The concept behind delivering 3D images, in a 2D platform using 2D graphics, is not complex as much as you think. So let’s get a brief idea about that concept. In the natural world, we think that we see 3D graphics. But actually, our eyes see the 2D graphics. That means graphics only with a height and a breadth with no depth. But as our eyes are placed in two places they see any of these 2D graphics, in two different angles. These data of the 2D graphics which was collected with eyes, go to our brain separately as the data from the left and the right eye. After processing these data, our brain gives a sensation of the 2D graphics captured by the eyes, in 3D; with a depth. Likewise, we see the graphics with a depth in the real world. That means an illusion of length perception, is being created in our brain with the 2D graphics captured with our eyes. That’s how we see 3D in the real world. That’s the theory behind the 3D technology trending today. Even a 3D movie is being shot, using two cameras in two perspectives. Those cameras are also keenly attached in a similar distance of our eyes are placed on our face. So the scene can be shot in two different angles like our eyes truly see that. There are well-developed cameras to capture such scenes and they can be placed right in the correct place using the special software and other programs developed especially for 3D shootings. And with the help of after editing, a proper 3D movie can be produced. 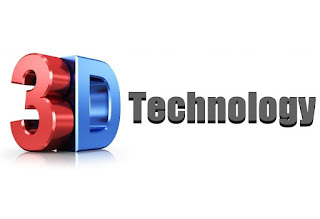 That is the basic concept behind the 3D technology which is mainly used in 3D movie making. Either in a cinema or in a TV screen, we need to wear an eye cheating spectacle. They are called as 3D Spectacles. There are two types of 3D Spectacles. Anaglyph Technology is being used in 3D spectacles with red and blue glasses with are used to watch 3D movies. 3D movies are being delivered to the screen using two projectors which our eyes catch it in two different perspectives. One of those projectors adduce the scene in the perspective of our left eye and the other does it in the way of our right eye see it. When the rays of those both projectors strike against the screen, we see it with a red color shadow on one side and a blue color shadow on the other side of the original object. When we look at that through 'Anaglyph 3D Glasses', our eyes get the ability to capture those two shadows separately with the use of the two colored glasses of the spectacle. That is also same as when we look at any object in the real world; captures the two sides/ shadows separately with each eye. So the signals or the data go to our brain is same as the signals it gets when we look at a 2D object in the real world. Now the brain compounds those data and creates an image with a perfect depth. Therefore we can see 3D graphics on the screen. Yes. I know what you think now. You may think about the spectacles with single colored glasses we get at the 3D cinemas, rather than the spectacles with two colored glasses. Let’s make it clear. In this technology, there is a way of delivering 3D movies by sending light patterns with changed polarization, against the screen. To watch this type movies in 3D, you must use Polarized 3D Glasses. The glasses used in these 3D spectacles have different physical features. Here they use glasses polarized to filter only red and blue colors. Both these 3D glasses; Anaglyph 3D Glasses and 'Polarized 3D Glasses' are under the type of passive glasses. 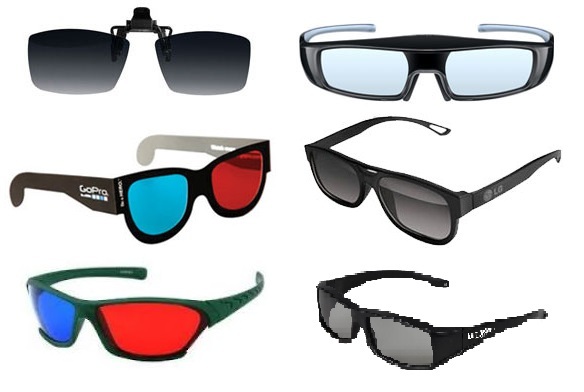 There are two types of Active 3D Spectacles categorized according to the 3D Technology Techniques used to produce the glasses. In modern 3D televisions and projectors, the Liquid Crystal Shutter technology is being used. They deliver 3D movies of this type, in a special way. They show the scenes alternately which is needed to be seen by the left eye and the right eye separately. When the scene for the left eye is being delivered, the right eye’ glass get dark/ switched off and when the scene for the right eye is being delivered, the left eye’ glass get dark/ switched off, by activating the electric circuit in this glasses. Now we know how we experience 3D using 3D Glasses. There is also a way of experiencing 3D without using any glasses. It is called as, ‘Auto-Stere-Oscopic Technology’. All the images strike against this screen in two perspectives. But there is a special parallax barrier in this screen and it acts as a filter. That barrier filters the lights coming to our eyes and send the lights directly to the left and the right eye separately according to the scene. So here also the brain get the image separately by the two eyes and there makes a 3D image in your mind. That’s how you can experience 3D without any glass or any other device. There are many situations where the audience have complained that they felt disgusting or experienced health issues after watching these 3D movies. Therefore, to find out how 3D movies affect the human body and health, Reuters Newspaper Service has done a kind of a research with regarding scientists. Here are the comments made regarding 3D technology by a professor at the Northwestern University in America. Also, the sayings of the Consumer Reports had once highlighted a comment regarding 3D technology as follows. Professor Deborah Freedman is a professor about eyes & neurology, from the Rochester University in America and once she has told to Roisters News that, by watching 3D movies, our brain gets tired in an unnatural way. Also, she has told that however, the 3D technology copies the real world experience of capturing objects in 3D, it is not 100% the same as in real. Therefore the brain will get brand new images which have never been experienced and when trying to analyze them, the brain wastes the energy on that and it will cause future errors in the brain. In this world, nearly everyone can watch 2D movies. (Here, I’m not talking about the blind people) But not all can watch 3D movies. Only 30% of any population can watch 3D movies. The reason is, others have at least one impairment in eyes which doesn’t let them enjoy the 3D experience. 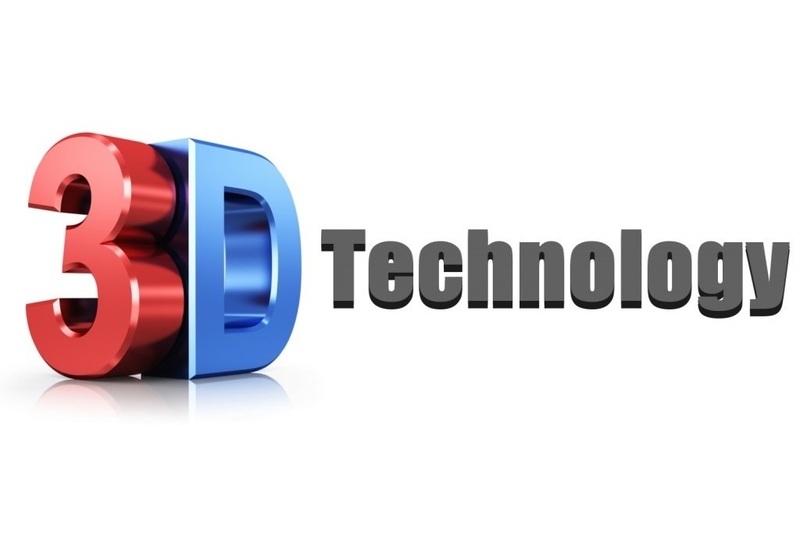 The 3D technology is always being developed. When this technology first came to the trend, the main accusation was regarding the color of the movies asking to develop it more forward from the black and white movies which were the only 3D movies there at the moment. By the time, now it has become settled with colorful 3D movies. Also, the quality of the movies is also developed up to where it is now. Now they are working on, improving the 3D glasses for a better experience. Also, you will be able to watch 3D movies in a better quality with improved glasses and with help of better improved 3D projectors. So hope you all found at least one fact about 3D Technology. By the way, do you have any idea about, today's trending ‘Crypto-Currency’? Spend a minute at ‘CryptoCurrency – Bitcoin’ to find about Bitcoin and to add something more to your knowledge. Very informative. It's amazing how technology has evolved over the years and 3D is definitely part of the amazing developments. Great post, very informative. I didn't know half of this information. 3D technology is the new trend in movies. Loved the post. Cheers!! I always get a headache whenever I watch 3D films. I mean I want to watch it, I love it but it's just that I feel nauseous after the film. I just can't stand it. Glad you posted this, now I know why and now I know what am feeling is normal. By the way, your post is so informative! This is Amazing about The 3D technology looks like a lot of advantage in the near future. I had no idea what goes into 3D. Very cool. Definitely, 3D technology is the way to a better visual future. I agree 3D technology is amazing! Very recently i experience a 6D show it just blew my mind. The future is here. I have a 3D monitor for PS gaming and movies and a VR..and a 2D.. And im fine, i think the key is moderation.... I got headache from using both 2D or 3D for several hours..... ..
3D tech is amazing. We own a 3D TV and the experience been life changing. The evolution of technology has truly paved the way to a much progressive life. Such thing as 3D and 4D are really very brilliant since its existence. I don't think anyone wouldn't love it. It's the present's way of life, and subsequently the future's too. 3D technology rules the future! Alongside of the internet, it will dominate many platforms. So it's great to master 3D technology for our kids..
3D technology is exactly the definition of the future. I can imagine how it will enormously affect our life. Also, there will be soon 4D, 5D I think.